Last week some of us gathered here in Brookings to be in spirit with folks at the School of the Americas Watch demonstration at Fort Benning, Georgia. We watched a film about the mission of this training center called "Hidden in Plain Sight," shared in a litany, and had some conversation about what has been called the "School for Assassins." Perhaps to counter the SOA acronym, the school was renamed in 2001, "Western Hemisphere Institute for Security Cooperation." Many are convinced its mission continues to be the same, new name or not. Different points of view were expressed in the film. Spokespersons for the school extolled its purpose and downplayed the dictators, human rights violators and thugs trained there. They claimed the torture manual was no longer in use and the curriculum included courses on human rights. SOA Watch had a very different perspective. It reminded me of an experience I had in early 1980. I was in Mexico with a group studying Liberation Theology. One evening, in a break from the program, we visited in the home of one of our hosts. They had the television on and we were watching some news reels of the insurrection in Nicaragua against the dictator Somoza. What particularly caught my attention was the way the picture was moving from side to side and bouncing up and down. What we were looking at was a scene of Somoza's tanks pursuing Nicaraguans through the streets of Managua. The crowd was running and the person with the camera was running with them. It was obviously difficult to run and keep the camera steady at the same time. When I got back to the states, I saw some similar footage on TV. The difference was, the camera was steady. The cameraman was capturing a chaotic scene of people running for their lives through the streets of Managua. His hand was steady, as his point of view originated with Somoza's tanks. This experience has helped me understand why those of us in the U.S. are so often ill informed or misinformed. So much depends on ones' point of view. Especially in a world where those who have the gold, rule (and control sources of information), people tend to get the point of view of the rulers. It is seldom we are able to see the world through the eyes of the poor. When we do, we too, may have to run for our lives. One of the last notes left by Gandhi in 1948 has become known as Gandhi's Talisman. It describes his conviction about point of view. "I will give you a talisman. Whenever you are in doubt, or when the self becomes too much with you, apply the following test. Recall the face of the poorest and the weakest (person) whom you may have seen, and ask yourself, if the step you contemplate is going to be of any use to him. Will he gain anything by it? Will it restore him to a control over his own life and destiny? In other words, will it lead to swaraj [freedom] for the hungry and spiritually starving millions? 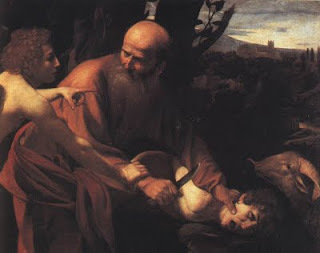 Aviva Zornberg in The Beginnings of Desire-Reflections on Genesis says that the midrash suggests that Isaac’s blindness is a delayed reaction to the unspeakable trauma of his near death at his father’s hands. The notion of delayed response to trauma has become all too familiar as young women and men return from Iraq and Afghanistan to resume the normalcy of their lives only to find that they are forever changed by the violence they have witnessed or that they have been called upon to perpetrate. The response is not new. It has been called “shell shock” and “battle fatigue” and now “Post Traumatic Stress Disorder.” I wonder how many more polite euphemisms we can come up with before we finally eliminate the causes of the delayed reaction to the trauma of violence we humans inflict on one another in the name of peace and security. I also wonder if we humans have witnessed so much violence (military, domestic, social, political, moral, financial, sexual, racial, and gender violence – to name a few) that we, in turn, are in danger of becoming blind, both metaphorically and literally, as we experience a collective form of Post Traumatic Stress Disorder. In the Isaac story, the blindness manifested long after the original trauma and, indeed, it set in motion another cycle of enmity and discord between Jacob and Esau. As deliberations continue about how to respond to the demands for more troops in Afghanistan, how to respond to the escalating need for a more equitable and effective health care system, how to respond to the human needs for housing, food, well being and dignity, I wonder…have we witnessed so much trauma that our eyes are already dimmed from seeing? Isaac’s eyes were imprinted by the tears of ministering angels. Those tears, perhaps, permitted him to get through the trauma and live into old age. But the eventual cost to him and his progeny was blindness. Perhaps, in order to offset our collective blindness, we need to be shedding our own tears, finding the ways to insert nonviolent responses to life where we have witnessed violence. If tears can dim our vision, perhaps they can also serve to cleanse and clarify it, allowing us to see humanity for the precious gift that it is, allowing us to respond to life not from the imprisonment of the pain and blindness of trauma but from the liberating pain of a broken and contrite heart. 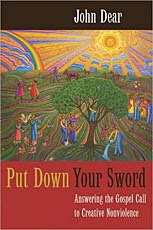 In the video "The Narrow Path," John Dear, SJ, speaks about the "nonviolent Jesus." As he reads the Bible, especially the Sermon on the Mount in the Gospel of Matthew, it is clear to him; Jesus is calling people to a way of nonviolence. It's what New Testament scholar Walter Wink calls "Jesus' Third Way." What both men are saying is, we have an alternative to fight or flight. In a situation of conflict we have more than two choices, fighting or fleeing. We can choose a third alternative, nonviolent resistance, limited only by our imagination and creativity. Some years ago I was attending a two day meeting in a city away from home. We had motel rooms booked for the overnight and I was sharing a room. My roommate dropped off to a sound sleep almost as soon as his head hit the pillow. I, on the other hand, was distracted and disturbed by the noise from the room directly over my head. There would be a few minutes of quiet, then loud outbursts, and I would hear what sounded like people jumping off the bed onto the floor. This began at 11:00 PM and was still going strong at 1:00 AM. After midnight, I began considering my options. I could flee from any confrontation and do my best to ignore or tolerate the noise. After all, I had managed with sleepless nights before. Besides, they couldn't go on like this all night, could they? Then again, I could start throwing my shoes at the ceiling; or I could call the management or the cops; or maybe I could go kick in the door and make them stop. Finally, at 1 AM, I decided. I left my room. I walked outside and up an outdoor staircase to get to the room. When I got there, I knocked lightly on the door. A young man opened it. I could see several other young people scattered around the room behind him. The young man smiled, perhaps because I didn't have any clothes on except my boxers and the snow was falling lightly behind me. I said, "Is there a kangaroo in here?" He smiled again. He said, "I guess we're being kind of noisy." I shook my head yes and left. A few minutes later I heard several cars leave the parking lot and the ceiling was still. As best I understand it, this is Jesus' Third Way. You don't run away from conflict but you don't enter it with violence either. You do your best to find an alternative where you are able to present your need in an assertive but non threatening way. Actually, I started this blog thinking about the ritual of Christian baptism. I had a baptism recently. There was one line in the ritual where parents promise to "encourage the child to renounce the powers of evil and receive the freedom of new life in Christ." What if we just changed that slightly to "the freedom of new life in the nonviolent Jesus." What if we encouraged parents to think about shielding their children from the principalities and powers of violence even as infants. What if we enabled them to teach their little ones alternatives to violence. I'm waiting and hoping and working, for a faith community that takes the third way of Jesus seriously; that invites parents to teach their children nonviolence as a tenet of the tradition and an essential moral principle. 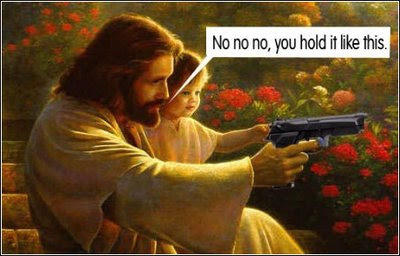 Come nonviolent Jesus, come! Near the end of the Torah portion that is called Noah, after its central character, beyond the raging waters of the flood, nations begin to branch out. At first they are the direct children of Noah, survivors of the cataclysm, and then the generations of the children of Noah. The generations unfold, and from these the groups of nations branched out, each to its own land and dialect. As the nations branch out beyond the flood, through Ham, second son of Noah, the border of the Canaanites extended even until Gaza. 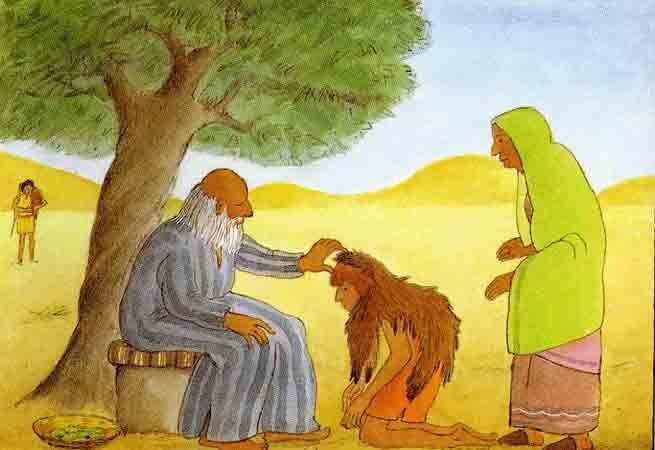 Soon, we all come to be the children of Noah, all who hold to a universal moral standard that the rabbis called the Seven Laws of the Children of Noah. These laws set a standard by which to judge righteousness. Righteousness can be measured by the nature of one’s behaving in regard to others; not by whether one is a Jew, a Muslim, a Christian, nor by any of the ways and tongues by which people call out to God. We are told in the beginning of the Torah portion that Noah was a righteous and upright man in his generations. The rabbis debate; was he righteous only in relation to the violent ways of his own generation, or was he truly righteous in regard to all generations? How shall we judge him? How shall we judge ourselves? Noah was a righteous man, but whether for lack of moral insight or creativity he was not righteous enough to avert disaster. Whether he should have drawn the question out of others, made it part of the moral debate, the people of his time were too blind to see the ark and to ask why. And now, a flood of fire consumes the righteous along with the wicked. I encountered two people during the week in which we read the Torah portion of Noah, each one righteous beyond their generations, each one through words and deeds building an ark of truth, hoping that we will be brave enough to look and to see it before it is too late. I was privileged to participate in a rabbinic conference call with Judge Richard Goldstone, sponsored by “Taanit Tzedek-Jewish Fast for Gaza.” As lead investigator for the report that bears his name, Judge Goldstone accepted the United Nations Human Rights Council appointment only on condition that he would be empowered to investigate the possibility of war crimes committed by Hamas as well as by Israel during the Gaza war. A life long Zionist, a trustee of Hebrew University in Jerusalem, president emeritus of World ORT, a deeply committed Jew and lover of Israel, Judge Goldstone has been vilified as a traitor. His pain and sorrow were palpable. Would that he could shield his family from the hate and vitriol. A passionate defender of human rights, he played a key role in the dismantling of apartheid in his native South Africa. 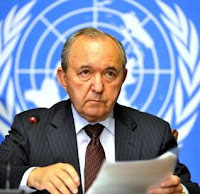 He was the chief prosecutor for the international criminal tribunals on Yugoslavia and Rwanda. Humbly minimizing his own Jewish knowledge and standing, he quietly explained why he agreed to investigate the Gaza war: “I really felt to live with myself and my own conscience I couldn’t justify having been involved in the investigations in many other countries, and because I was Jewish refuse to use the same norms and principles in relation to Israel.” It is painful to look at one’s own culpability in the suffering of others, even more so when one’s own grievances beg to be acknowledged. Judge Goldstone wanted to interview Israelis and get a fuller picture from within Israel, but he was refused entry. Only when we can open our eyes to a larger picture than our own is there any hope of averting the flood. I thought about the ark we cannot see for moral blindness, the inability to see reality as experienced by others, the prophetic warnings we cannot hear. This righteous man, a believing Muslim, explained that one should take apart the Ka’ba in Mecca stone by stone before taking an innocent life. Then the room became so still. We were embarrassed before his moistening eyes and his soft, steady voice. A story that chilled hearts throughout the world at the time, it was his house that was shelled by an Israeli tank on January 16th, one day before the cease-fire. Would that he could have shielded his family. Three of his daughters and a niece were killed, another daughter severely wounded. His words came without bitterness, “Israel said militants were in the house; yes, my daughters were militants armed with love.” We were overwhelmed by the depth of his faith and his own love, his towering moral presence; “At that moment, what can I do,” he said, “I can go one of two ways, close off, have nightmares, or turn to the light. My daughters won’t come back, but my other children, others, need me.” How much we needed him in that moment, to hear his voice, not to be left alone with images of horror that we had not known but through him. Judge Goldstone described the horror he felt amidst the destruction that is Gaza. He continues to hope that Israel and Hamas will conduct their own investigations, somehow coming to acknowledge and affirm the lives that were lost, making moot the recommendation to prosecute. If we could only begin with ourselves, talking with each other across the political divide, stepping back from the precipice of refusal and denial, only to look and examine, and to cry. Dr. Abuelaish carries the destruction of Gaza with him. He transcends the horror with a message of hope, with a challenge for Israelis and Palestinians, for all of us, “words and understanding are stronger than bullets.” Finding his greatest joy in bringing life into the world, the lives of his daughters who were taken from this world inspire him on the path of healing. Channeling his grief by affirming life, he honors his daughters through a foundation that will promote education, health, and leadership for women and girls throughout Gaza and the Middle East. Of these righteous ones, you can witness a heartbreakingly beautiful tribute to his daughters by Dr. Abuelaish at this website: www.daughtersforlife.com; and hear Judge Goldstone’s talk to the rabbis at this website: www.fastforgaza.net/sites/default/files/audio/goldstone.mp3. Twenty years ago, on November 9, 1989, the Berlin Wall opened up. Thousands of exhilarated East Germans streamed through to celebrate with Germans on the west side. 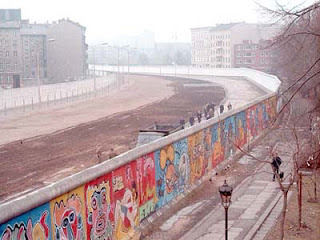 If you are old enough, you may remember that day, but many people still do not know about the events leading up to the fall of the East German's wall and their government. Six people in Leipzig had started a prayer group in 1982. 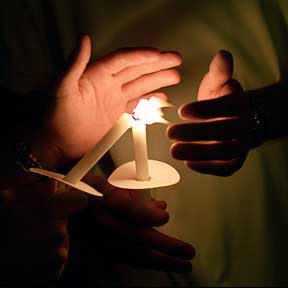 For years a faithful group met every Monday after work in St.Nicholas (Lutheran) Church to pray for peace and then stand outside, each with a candle, for one hour. In 1989 more people discovered the Monday peace prayers and came to pray and hold candles. The state security police and the ruling Communist officials took notice. In May they blocked the roads leading to the church on Mondays. But the congregation grew. People were arrested but insisted on non-violence. Still more people gathered. In September when people exited the church, thousands joined them in the square, everyone holding a candle, a symbol of non-violence. You need to hold a candle with both hands to keep it from going out, which makes it impossible to throw stones. On October 7, there were hundreds of arrests. The newspaper announced that on Monday, October 9, "the counter-revolution" would be put down with "whatever means necessary." There were fears that the same brutality would be used as in Tiananmen Square only 4 months earlier. Monday, October 9, the government sent Communist party members to fill the church pews, but the pastor shrewdly reserved the balconies for the peace demonstrators. The prayers concluded, statements supporting non-violence were read, the bishop gave a blessing, and the people went out. Those coming out of the church were amazed. 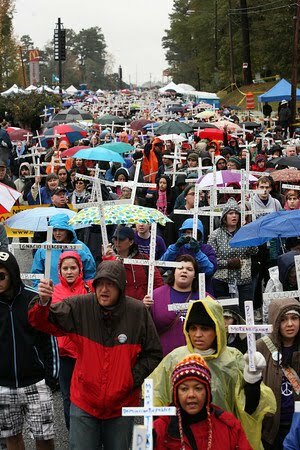 The 10,000 people of the previous week had not been scared away. Now there were 70,000 people with candles. Historian Rainer Eckert tells what happened: "The authorities had threatened to use force to break up the protests. But that never happened. The guns remained silent … The security forces found themselves in the situation where they weren't standing against German imperialism or fascism but against their own families and colleagues and children…. The order to fire never came." Pastor Christian Führer of St.Nicholas Church said recently: "We were afraid …, but we had the courage of our convictions.... It still moves me today to recall that in a secular country, the masses condensed the Beatitudes in the Lord's Sermon on the Mount into two words: No violence!" German foreign minister Hans Dietrich Genscher said, "On this day it became clear that peace is stronger than anything else." The next Monday, October 16, 120,000 people filled the streets of Leipzig. There was no violence -- no looting, no stone throwing, no killing. On October 18th, head of state Erich Honnecker resigned. In other East German cities also, people began meeting on Monday nights at their city squares, including over half a million in East Berlin on November 4. By November 7 the entire government resigned. On November 9, the Berlin Wall opened up. A leader of the East German Communist Party said afterward, "We had planned everything, we were prepared for everything, but not for candles and prayers." Every summer when we went to the Ring Thunder Powwow on the Rosebud Reservation, there was a Giveaway. In Indian country, when you want to honor or remember someone, you sponsor a Giveaway. At Ring Thunder, the Giveaway usually began when two or three pick up trucks pulled into the ring loaded with goods. There would be pots, pans, storage containers and utensils for the kitchen; towels and wash cloths for the bathroom; and sheets, blankets and star quilts for the bedroom. Everyone present got something. Special friends of the one being honored or remembered got something special, like a hand sewn star quilt, and they were recognized as they came to the center of the ring to receive their gift. Those who were visitors were often astonished to receive gifts from people they had never met, in honor of someone they didn't know. 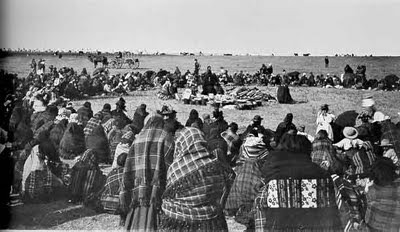 In traditional societies, Giveaways were a method for redistributing wealth and meeting human needs. There was no reason to identify someone as "poor" and establish some special program to help them. Rather, structured into the society, were methods of sharing the wealth. The idea of Giveaway has been a blessing for me. You see, I have an addiction to books. Let me loose in a bookstore and I can fill a grocery cart in no time. (Fortunately, most bookstores don't have grocery carts.) I doubt that I will live long enough to read all the books I have right now. Still, the AAUW is sponsoring a used book sale next week that I will not be able to resist. The Public Library now holds TWO book sales every year. And we recently made a trip to Madison, WI, at least partly because we love a Half Price Books store there, as well as a huge used books section of Barnes & Noble. When I left my last full time job, I didn't want to move all the books in my office. So I packed up a couple of boxes of those books I absolutely had to keep, and put all the others on three banquet tables for my first Giveaway. Within a week, they were all gone. Lots of friends and acquaintances were grateful and I was ecstatic. Last November, I could hardly work in my home office, it felt so cluttered, with books. So we added a line to our annual Christmas party invitation. 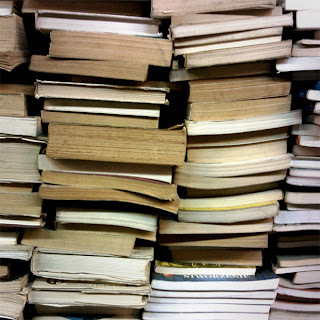 It read, "It is hoped everyone will select at least one book from the book Giveaway table." Then I proceeded to put some bookshelves on a long low table and pile it all high with books. Some who came misunderstood. They thought it was a book swap. But I screwed up my courage and made them take their books back home. None came in. Eventually, all of the books on the table went out. I'm doing a book Giveaway again this year. I have to! Regretfully, I've not conquered my addiction. Maybe, if things don't improve soon, I'll start a book list on a blog and you can order by email. Recently I had the opportunity to view "Rethinking Afghanistan," a powerful dissection of the reasons most often cited for America's continuation, and indeed escalation, of the war in Afghanistan. That war is costing the United States about $2 billion per month, and its human toll is immeasurable, with countless American and Afghanistan lives lost or forever changed. As President Obama and his advisers mull over the future of the American military presence in Afghanistan, it is vitally important for us to do the same, and then to make our opinions about this eight-year-old war well known to our political leaders and within our communities. This eleven-minute excerpt from "Rethinking Afghanistan," entitled "Security," argues that the war is increasing, not decreasing, the likelihood that American civilians will be killed in a future terrorist attack. "National security," it asserts, is therefore an invalid argument for "staying the course." I invite you to consider this argument with an open mind and heart. To view "Security," either press play in the embedded viewer or click this link: http://www.youtube.com/watch?v=hjE2wMWMJwI. Please be forewarned that some images you will see are graphic. Excerpt: "The Cost of War"
Excerpt: "The Women of Afghanistan"
Excerpt: "Civilian Casualties in Afghanistan"